Benedict O. Kwon is a partner in the Corporate Practice Group in the firm's Orange County office. Mr. Kwon’s practice focuses on fund formation and tax structuring, as well as domestic and cross-border mergers and acquisitions. He has formed an array of private investment funds, including private equity funds, venture capital funds, real estate funds, mezzanine debt funds, film funds and hedge funds. In addition, Mr. Kwon advises startup companies with respect to formation issues and efficient tax structuring, limited liability company formation and structuring, and general partnership and corporate tax issues. He also has deep experience counseling clients on Investment Advisor Act compliance issues. 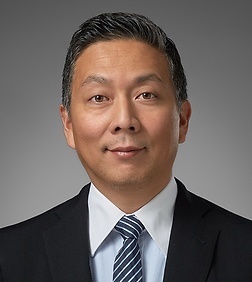 Mr. Kwon is the current Chair of the American Bar Association Subcommittee on Private Equity and Venture Capital Fund Formation. Represented investment managers in the Structuring and Formation of Venture Capital Funds focused on the technology space, incubators, cryptocurrency and healthcare. Represented investment managers in the Structuring and Formation of Real Estate Funds focused on hotel development, multi-family, real estate credit and NNN lease. Represented investment managers in the Structuring and Formation of Private Equity Funds focused on the consumer products space. Represented investment managers in the Structuring and Formation of Mezzanine Debt Funds. Represented sell side and buy side transactions in the technology, consumer products and education space. Represented medical device companies in their common stock offerings.